It's two o'clock in the morning, and I cannot sleep. For the last hour and a half, I have been laying in bed staring at footage of the Northern California fires. A man is riding a bicycle through Santa Rosa, California. The city is in flames. Ten days ago, a man began shooting into a Las Vegas crowd. 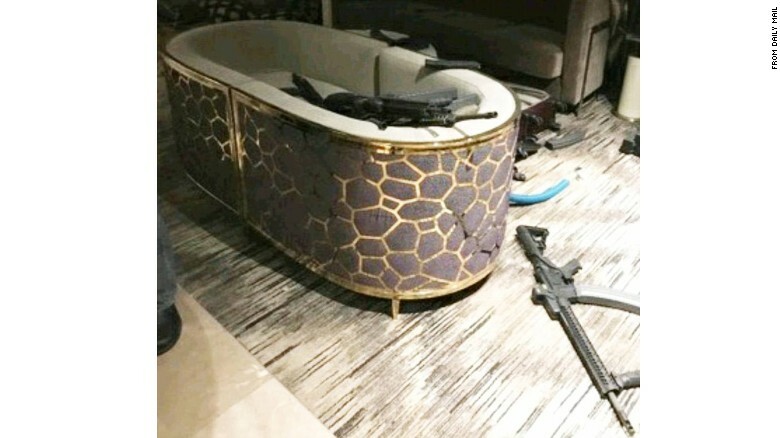 He brought 23 guns into a Las Vegas suite. In 10 minutes, he killed 58 people. In the suite, a photograph shows two arm chairs pushed together, their horseshoe shapes turning the furniture into a tub. The tub is filled with automatic weapons. Nobody understands why. They wish he were crazy so there would be something other than the man or the guns to blame. Ten days before that a hurricane leveled Puerto Rico, and we learned what it meant for land to fall. The country remembered 3.4 million citizens we'd ignored for decades. Fifty-four percent of Americans did not know they were fellow citizens. Forty-six percent might have known but never thought about it. Now that we know, we ignore them still. We try not to think about what it means when the news announcer mentions the red cross before Sunday night football. I am thinking of the ash that piles inside of a fireplace. How soot can dissolve between your thumb and forefinger. How wood can turn a ghostly white. I am thinking about the time I drove through that Oklahoma neighborhood post-tornado. And how people left angry signs spray painted to their garage doors telling tresspassers to keep out. And how Kelly C-- posted a picture of a sign in her neighborhood. "Keep Out!" it reads. "Tourists are not welcome here." And how someone else posts a picture of their cat. And another of a llama - "for those having a bad day!" In another, a man laughs at a story about a teenage girl getting her bra snapped in middle school, and when others try to come to her aid, he laughs and laughs in the way one laughs when they are trying to make the world small. And about how small I feel thinking about a neighborhood that looks like the soot in my fireplace. And how much I want to look away. And how much the heart can contain. And how much I wish we would stop arguing about football players and Twitter feeds. About how much easier it was to teach a classroom of students about what it meant to read the world when we couldn't see the horseshoe shaped chairs or the semiautomatic weapons or the confederate flags. When a conversation about implicit bias didn't involve kids getting gunned down in the streets and sports team owners making it mandatory to stand for the pledge of allegiance. When information made us think. When education was a good thing. Santa Rosa is on fire. Napa Valley is on fire. Puerto Rico has no power. 58 people are dead. The newspapers worry over World War III. Everyone is searching for understanding. They want to know what it is all about. There are no more reasons why. If this is not the end of the world, then I don't know what is. Tomorrow, the sun will rise again. But only if we're lucky.